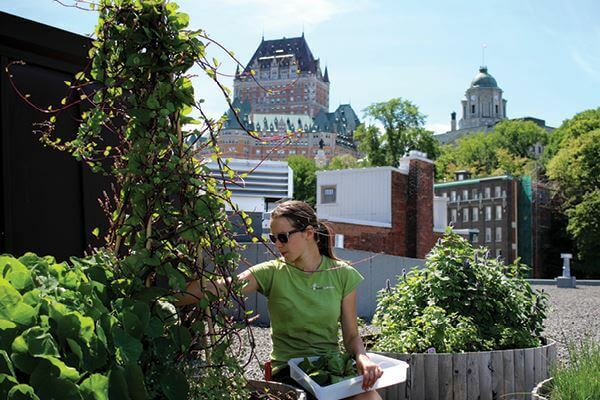 Takeaway: Since 2009, Les Urbainculteurs have worked towards the development of a productive and innovative urban agriculture in the Quebec area, on rooftops and terraces, or directly in the ground. 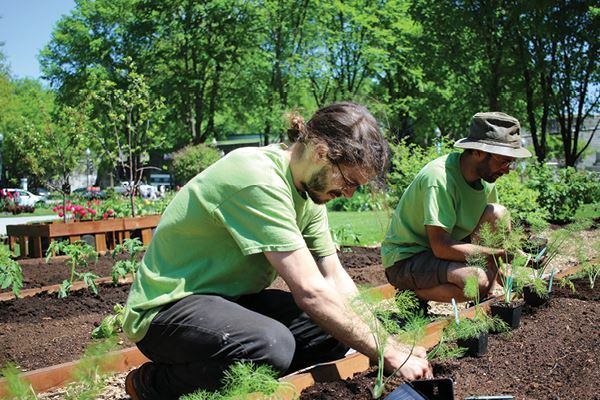 As a non-profit organization, their mission is to promote gardening and urban agriculture by taking action, raising awareness, and offering products and practical solutions for growing in the city. Marie-Hélène Dubé tells Maximum Yield about how it all began. Les Urbainculteurs were born in 2009 in Quebec City, Canada. Our first urban garden was on the rooftop of Lauberivière, our first partner, who run the biggest homeless shelter in the capital. Vegetables and herbs were growing just up the kitchens, allowing the organization to have access to fresh food and not to depend exclusively on donations. During an event, co-founder Francis Denault worked on building some gardens for children in salvaged half-barrels. This is where the idea originated, to set up gardens all over town, and why not on the rooftops? What then followed was a series of chance opportunities and hard work, which led to partnerships, contacts, and ultimately the realization of a crazy dream. Urban agriculture was then very little known and no example existed in Quebec on which to rely or to give in reference. Everything was still to be tried. Francis, who co-founded Urbainculteurs with Marie Eisenmann, did not have any background in gardening or agriculture before starting the business. Marie had a background in politics and journalism. At the time, she was editor-in-chief of outdoor life magazine Espaces. Francis was working as an eco-counsellor for waste management during events. Again, as urban agriculture was new, there was no specific legislative framework: rooftop gardens were not permitted nor prohibited. There was no precedent, and the fact that the founders weren’t trained in agriculture didn’t help. There was a lot of trial and error as they tried to find an efficient and affordable cultivation method, and one that was well-adapted to the urban environment. We now use Smart Pots: fabric containers that are light and resistant, and which allows the plants’ roots to fully develop, thus producing healthier and stronger plants. At the beginning, it was mostly Marie and Francis, and two or three others from time to time. Everybody was doing a bit of everything, as a team. We found out that hard work always pays. Marie’s background in communication and journalism, as well as her cheerful and upbeat personality have certainly helped too. But if we had to pinpoint an event that most helped to promote Les Urbainculteurs, I’d say it was the publication of an article about our organization in Les Affaires, a magazine that specializes in economics, finances, and business. We also were offered a lot of support and visibility from Justin Keating, owner of Hotel du Vieux-Québec, who was one of our very first customers. From our first year, where we had very few major projects, we have now grown more each summer. From our first activities focusing on gardening, we have diversified what we offer to include consulting, conferences and workshops, and the sale and distribution of gardening equipment. Our expertise has grown in stature and we even hosted a TV show, Les Urbaincultrices, for two seasons. Now, during the summer, Les Urbainculteurs employ a dozen workers, with four that work year-round. In terms of the ideology behind the company, we are convinced that urban agriculture is a solution for future challenges. The urban environment has such potential, and as it is now where a large proportion of people live, it is also an environment both vulnerable to climate change and lacking in greenery. Urban agriculture adds life, freshness, and beauty, has a tangible impact on the effects of climate change, and brings food production closer to its place of consumption. 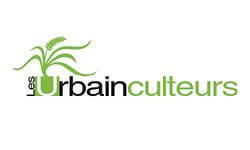 The promotion of urban agriculture is at the heart of Les Urbainculteurs' mission, it is our raison d'être. We mainly promote it by taking action, creating urban vegetable gardens and edible landscapes throughout the city, from terraces to roofs, courtyards, and balconies. We also promote it through education and raising awareness, and by offering the products we find most appropriate and effective for urban agriculture. The response from the community has been substantial. After the initial doubts around the feasibility of our project, the community rallied to the cause. Les Urbainculteurs quickly became serious interlocutors for FIHOQ, the Interdisciplinary Federation of Ornamental Horticulture of Quebec. In addition, our first highly publicized project was a roof garden with Lauberivière, which is an important shelter for homeless people in Quebec City. Our proudest moment came in 2013, when the National Assembly of Quebec approached us about creating a large vegetable garden in front of Parliament. This summer is our fifth season utilizing this symbolic space as a way to showcase urban agriculture. The commitment of the National Assembly is truly encouraging and passes on a strong message to the citizens, in addition to consolidating urban agriculture as a fundamental trend, not a passing fad. We also received a call last summer in early July (which is very late, of course, for agriculture), asking if we could install a large garden in the inner courtyard of the Grand Théâtre de Québec. We had to install 50 big bag beds—a type of pot 50 inches in diameter and 100 gallons in volume—in an old wading pool where rain tends to accumulate. It was pouring rain on the day of the installation. Finally, despite the late date of planting and the fact that the maintenance of the garden was based on volunteers (whom we accompanied), this vegetable garden quickly became magnificent and prolific. The green that it adds to all the concrete is welcome and the crops are redistributed by a charity organization to benefit families in need. How could it be better? Well, the garden should double in size this year. Our team is awesome because it is very diverse. It brings together academics specialized in biology and ecology, as well as people we met through voluntary workers from Lauberivière. Every day—but especially during spring, when we install the gardens—our team faces incredible challenges, sometimes by carrying dozens of bags of soil by hand, up three flights of stairs, or even up a ladder and through a trapdoor. More than anything, our team gathers enthusiasts of plants and food with a joyful and hard-working bon vivant. Overall, we have learned that we can remain true to our mission while achieving commercial success, and that it is possible to do so by offering something simple and affordable, without having to use sophisticated and expensive gadgets. For more information, visit Les Urbainculteurs on the web.